In the Jordan Valley, lightly traveled blacktop roads wind around dense plantations of medjool date palms and banana trees. 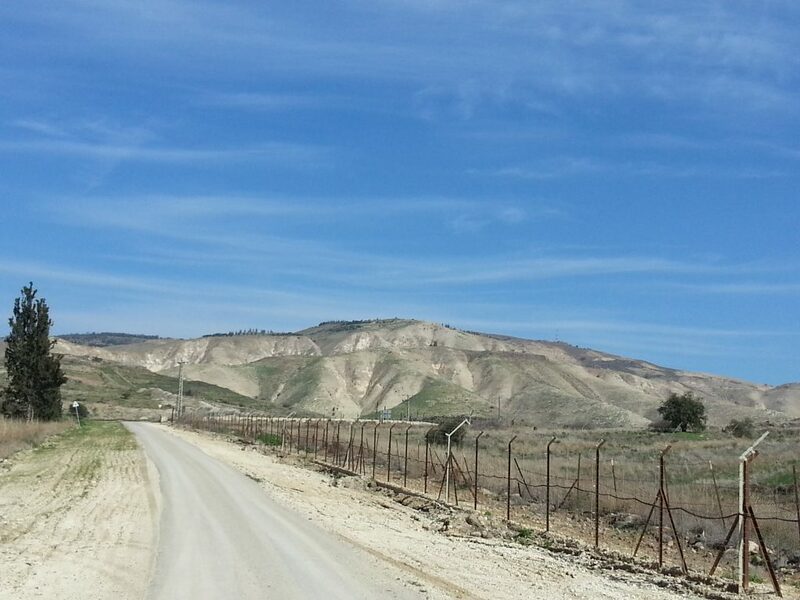 A wire fence running north to south demarcates the border between Israel and Jordan. On the Israel side of this divided space sit dozens of small and quiet Jewish communities, known as kibbutzim. One of these kibbutzim is called Beit Zera. 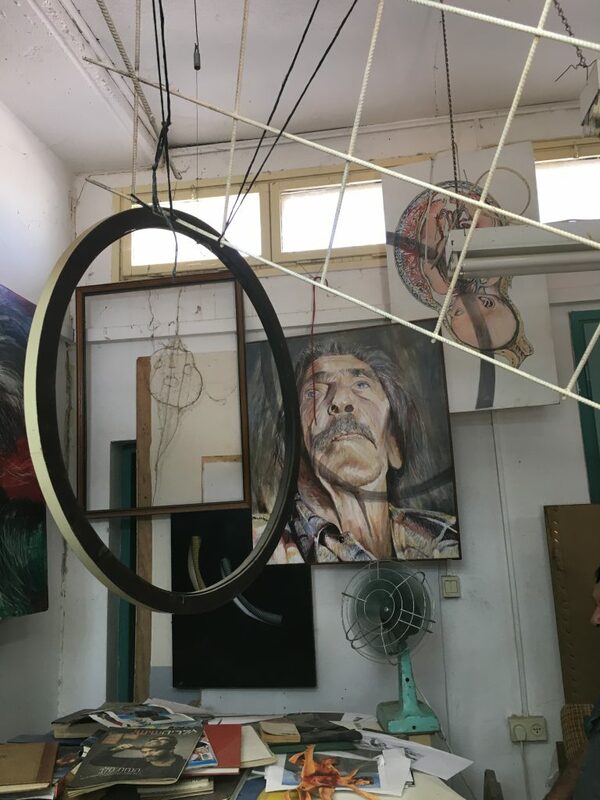 I drive there on a warm day in November 2017, shortly before I leave Tiberias, to meet an artist named Eitan Arnon. 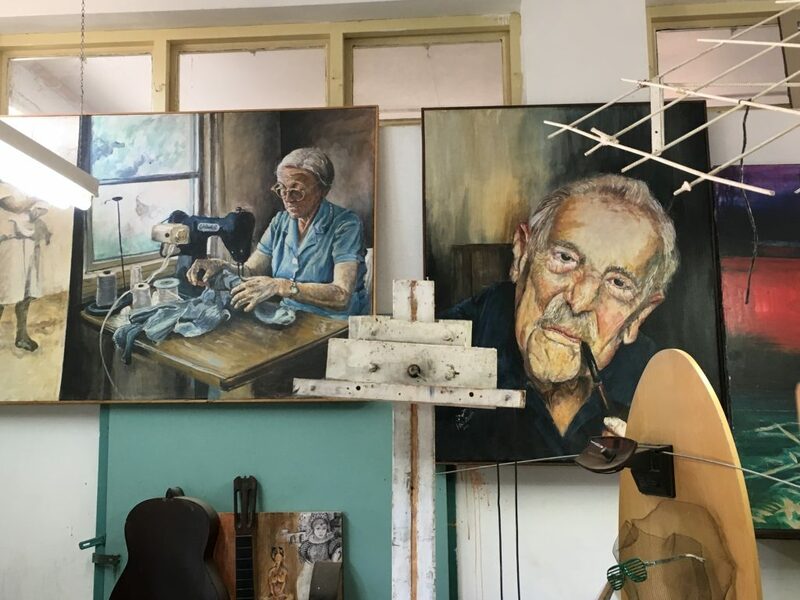 For all of his more than 70 years, Eitan has lived here, making art all of the time and trying to make peace some of the time. Always fascinated by the precarious positioning of the Jews and Arabs in Israel, I want to learn about the life of Eitan, the only Jewish Israeli man I’ve met who has tried to make this situation better. The Jordan Valley – Israel is on the left side of the fence and Jordan is on the right side of the fence. As I pull up to the gate of Beit Zera, Eitan rides up to the other side on his bicycle to tell the guard to let me in. One of the functions of kibbutzim upon their establishment in the early 20th Century was to guard the borders of Israel. Today a couple hundred kibbutzim still exist, and many have kept the gates and guards. I follow in my car as Eitan rides his bike down a path to his small art studio. “I just finished an Arabic lesson,” he says as he opens the door. His Arabic tutor is named Itzhak Abadi, a Syrian Jew who was born in Damascus, Syria. His father had been a tribal leader called a mokhtar. Middle East mokhtars are Arab except for Abadi’s father, who was the chief of the Jews. Itzhak lives on a neighboring kibbutz, Degania Alef. This is the first kibbutz established in Israel, in 1909, and it is where this Itzhak teaches Arabic to Eitan. Eitan is the only person I have ever met who has spent his entire life on one kibbutz. Sitting in chairs situated tightly amongst his crowded and colorful art studio now, he tells me how life used to be. Kibbutzim were established under the Marxism philosophy of “from each according to his ability, to each according to his needs.” In the beginning, kibbutzim were communal. Almost everything was shared. Eitan says the communal principles of life on a kibbutz. meant that nothing was private. Property, money and living quarters belonged to no one and were the responsibility of everyone. The first community settlements like kibbutzim were not in Israel, Eitan says. They were built in Saudi Arabia. “My parents had only one room with four walls and a bed. Nothing else,” Eitan says of life on Beit Zera. Toilets and showers were communal. Children didn’t sleep with their parents; they slept in a separate room with all the other children. As time passed, those living on kibbutzim really wanted to have private lives and own personal property. People began buying things. Electric kettles for their small sleeping quarters were a popular first item. 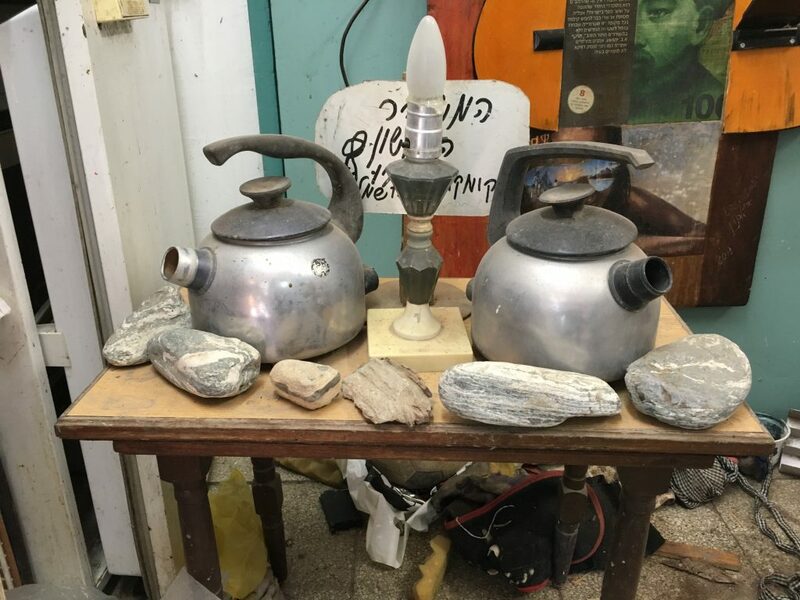 “When people started getting something in their apartment, this was the first crisis,” Eitan says, “because now people had things.” And those who didn’t want, or didn’t have, their own things would not accept that someone else on their kibbutz should have something private. Eitan was educated on the kibbutz, and after high school graduation, he entered the army. When he returned to live on Beit Zera, he didn’t like it anymore. He wanted to move to Tel Aviv on the other side of the country and study art. But because kibbutzim were communal, he had to get permission to move away. He asked the secretary of the kibbutz if he could leave. “The community won’t accept it,” the secretary said, and turned him down. He asked the community to give him one year to study. Then they could meet again and decide whether he should continue, or return to live on the kibbutz. The secretary and the head of the kibbutz had a long discussion with the group who would decide Eitan’s future. They decided that he could attend art school for one year, but he had to pay for it himself. So he moved to Tel Aviv and got a job and an art degree. The foundation of Eitan’s life, almost everyone and everything he knew, was Jewish. Entrenched in his kibbutzim where only Jews can live and a way of life that only Jews can know, Eitan wanted to take a big step into the world outside, and try to help with peace. He wanted to go to the Gaza Strip. “In Gaza they have no possibility to live for anything,” Eitan says. Both Palestinians and Jews had been living in Gaza, extremely precariously, for decades until August of 2005 when then Prime Minister Ariel Sharon pulled all of the Jewish people out. Later, through a labyrinth of connections beginning with his son Chen, Eitan and 15 other Israelis received permission from the Israeli Defense Force to go into Gaza and meet with Palestinian authorities to try to create even a small possibility of some form of peace. They were allowed 24 hours. Much of the world sees the people of Gaza as very dangerous. “Angry people can become very dangerous,” Eitan says. “People who are not angry, they don’t become extremists.” But it is not the fault of Gazans that they are angry. “We visited many places inside Gaza. We met with people, not the government.” One group they met with was a Palestinian party who supports peace in Israel. Later, many in this party were tortured and many were killed. So now they don’t exist. “They didn’t want to show us refugee camps,” Eitan says, “but we insisted on seeing at least one.” I asked, “Why are your leaders in big houses and the other people are not?” No one answered him. 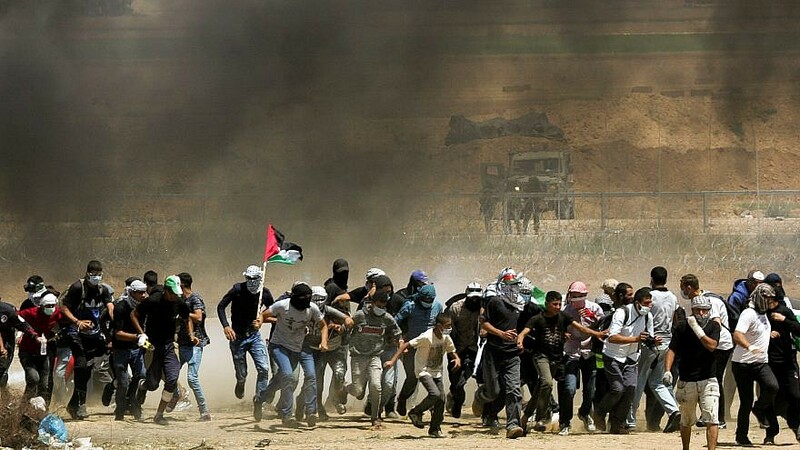 The situation with the Palestinians in Gaza is one of the biggest problems in the world. No peace came from the visit of Eitan and his group, and the only change brought about was Eitan’s perspective and understanding. 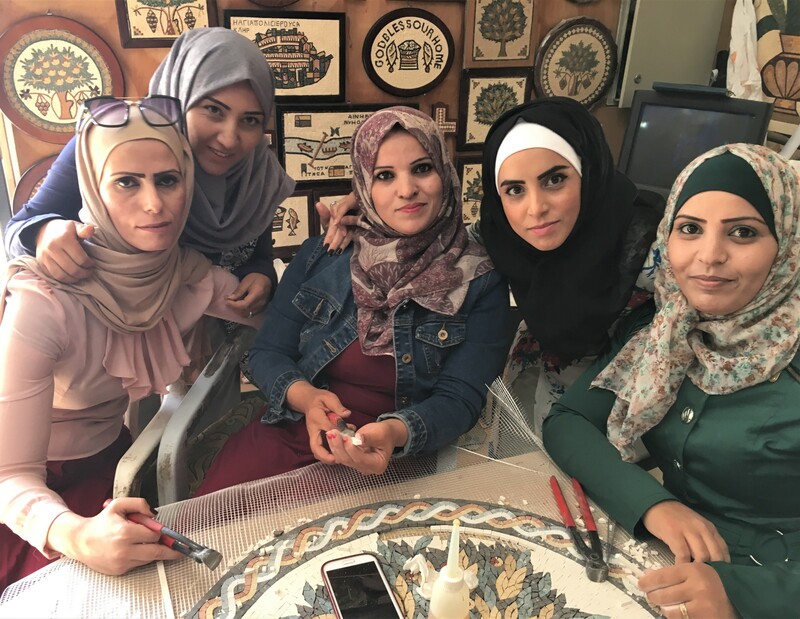 Arabs who live outside of Gaza have much different and better lives than their brothers and sisters inside Gaza, but they still have a lot of problems. Many people have been trying to fix these problems for a long time, and now Eitan is taking a turn. Approximately 80 movements exist in Israel attempting to bring together Arabs and Jews for peace. With Gaza in the past, Eitan has now joined a new organization for peace called L’Adeem Yahad in Hebrew – Marching Together for the Future. This was founded by his Jewish friend Yaacov Yonish, who says it was easy to find other Jewish people to join. And after eight months, they finally were able to welcome their first Arab member. In L’Adeem Yahad Arabs and Jews really try to step a bit into each others’ worlds. Twice a week, they come together in different parts of the country to learn about the other side’s religions, cultures, families and lives. 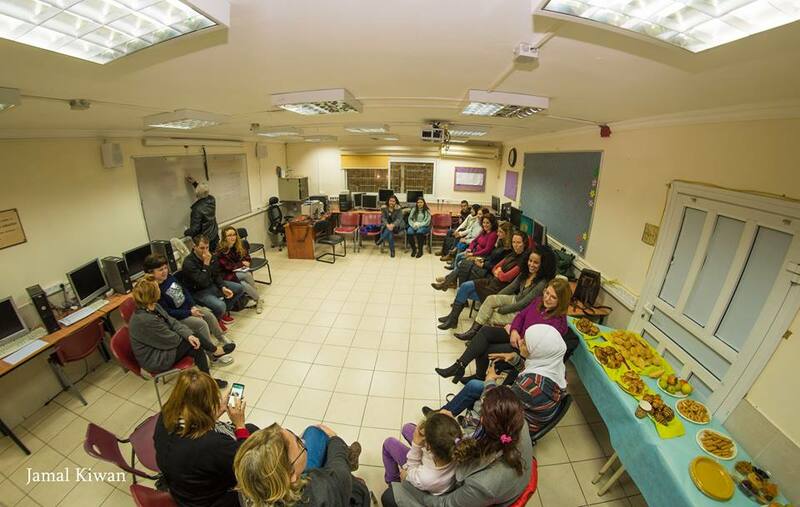 They meet in Jewish homes and Arab homes, each side bringing stories of their cultures to help the others understand. They’ve studied perspectives on human rights based on the Bible and based on the Quran. 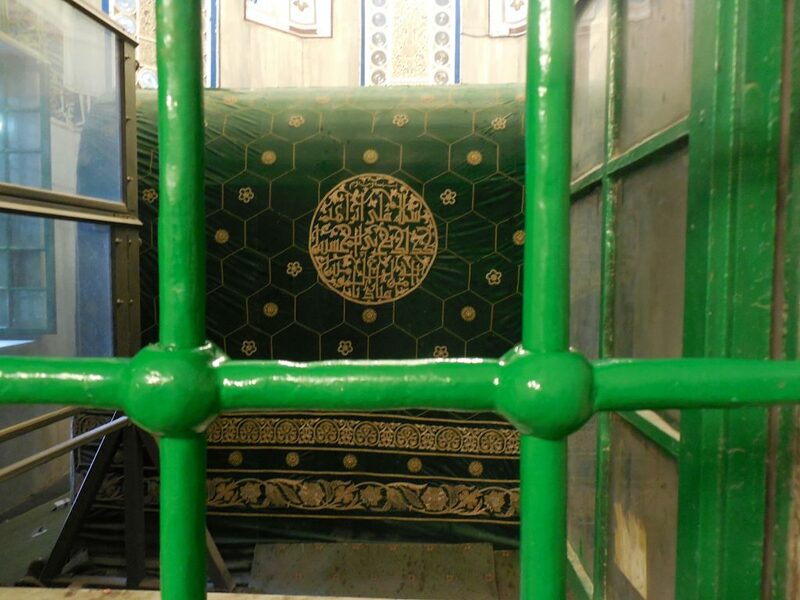 The Jews studied the Quran with an imam. “We love people as people,” Yonish says. Advertising in newspapers, sending about 2,500 emails every week, and running a growing group on Facebook, L’Adeem Yahad now numbers about 10,000 members. previous post: Shabbat Shalom from Israel!